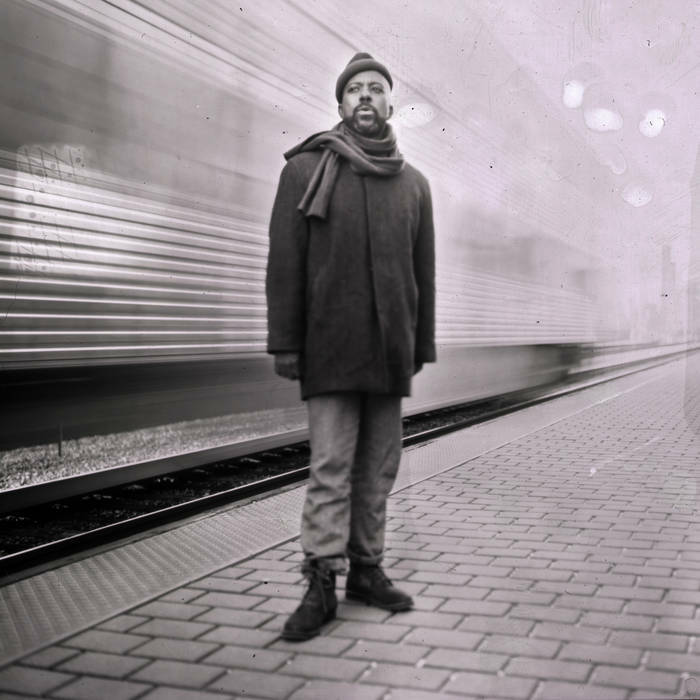 Maybe you've already heard about Ben LaMar Gay (who has been covered here a few times ), and maybe you’ve already heard this album or even started listening to the newly-released back catalog (more on that below). But I sat with this album for months, listening to it almost daily, because even as a compilation of experiments, it’s much larger than the sum of its parts, and heavier and deeper even than I think Gay’s been given credit for. The story’s been told enough times: Gay had recorded seven albums over seven years, had no intention of releasing them, had a good experience working with International Anthem on Bottle Tree’s debut album, and eventually went through the process of picking out the best of the best for a “greatest hits” of sorts. And it is a very excellent story, but I think it fails to represent the fullness of Downtown Castles Can Never Block the Sun as a masterpiece all its own, partly because it represents the cumulative product of all of Gay’s various experiments and partly because it’s a radical, creative work. First, the album is something of a 21st-century update of the ’69–’70 run of Art Ensemble of Chicago records, especially A Jackson In Your House, Message To Our Folks, Certain Blacks, Go Home, and Chi-Congo. Yes, Gay is an active member in the AACM and a resident of Chicago, but there’s much more to it: AEOC bent and shaped jazz, funk, poetry, lyricism, and skronk all into their unique and still-relevant sound. Gay’s songs are just as varied, raw, polychromatic, and addictive. And so while folks have knowingly cited Reich as the influence for “Music for 18 Hairdressers: Braids & Fractals,” there’s been less attention paid to the keen way Gay has inverted early tape experiments, like “Come Out.” Taking Reich out of the concert hall, Gay flips the script, layering a dense collage of loops, flute, tenor sax, and wordless vocals. “Music for 18 Hairdressers: Braids & Fractals” flows brilliantly into “Jubilee,” one of the finer examples of how this collection of tracks from seven different albums quilt together successfully. The vibrant experiments of tracks like “Jubilee” and “Galveston” push against the song-like recitations like “A Seasoning Called Primavera” and “7th Stanza.” Interestingly, although it’s Muhal Richard Abram who gets an eponymous tribute—the ridiculously catchy “Muhal”—Joseph Jarman and Lester Bowie seem to me like more apt citable influences. Like Bowie, Gay fearlessly embraces his own curious nature. The result is strange and exciting. The most surprising thing, possibly, is how little of Gay’s cornet one hears on the album. If you know Gay from albums like Mike Reed’s Flesh & Bone, you may want to jump to the riotous final track, “Oh no… not again!” which features Gay, drummer Tommaso Moretti, tubaist Joshua Sirotiak, and guitarist Will Faber. Now, when I first drafted this review, I closed out with some thoughts about whether we would ever hear Gay’s previous seven albums. And I did, in fact, wonder what we’d gain from hearing these songs in their original formats. Since, International Anthem has in fact started releasing the albums, beginning with 500 Chains, an excellent narrative about an escapee prisoner, and Grapes, the experimental avant pop album that originally featured “Vitis Labrusca,” “Muhal,” “Music for 18 Hairdressers: Braids & Fractals,” “Me, JayVe & The Big Bee,” and “Uvas.” If I’m not mistaken, Grapes songs make up most of Downtown Castles Can Never Block the Sun, while also providing its title. As such, it does feel a bit like a Rosetta Stone for cracking the code of the final compilation. In truth, this is the type of album that can be very difficult for a reviewer, because describing its depth and thoughtfulness can come across a bit esoteric. But that would strip away the absolutely joy to be found within. And while each successive release provides an additional context for taking in each track, the whole of Downtown Castles Can Never Block the Sun retains its vitality and remains a necessary snapshot of a thrilling artistic voice. This is an insightful and excellent review of an excellent album. I'm also hoping that International Anthem (a great label) get around to releasing all seven individual albums. Man, I'm glad you reviewed this, what an album! Great piece Lee! MJG, they started releasing the unreleased albums a few weeks ago. 500 CHAINS features that group throughout, and the playing is excellent.